AIFC is an audio format associated with AIFF which is developed by Apple. Can’t play an AIFC file? 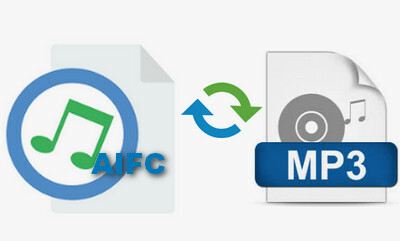 Want to convert AIFC file to MP3 for better playback and enjoyment? This article will present 4 free and handy methods to finish AIFC to MP3 conversion easily and efficiently! Have you ever encountered audio files with the extension of .aifc which can’t be played with Windows Media Player, foobar2000, Winamp or many other common audio players. Some people may guess that AIFC is closely associated with AIFF (Audio Interchange File Format) developed by Apple. Indeed, AIFC is actually a variant of AIFF since AIFF always stores uncompressed pulse-code modulation (PCM) audio data whereas the AIFC file stores compressed audio data. It means that AIFC file’s size is smaller than AIFF file. However, it is commonly known that Apple’s audio format is usually not so compatible with other platforms, devices and software. That’s why so many people want to convert AIFC, AIFF to popular MP3 format which is equipped with better compatibility and popularity. 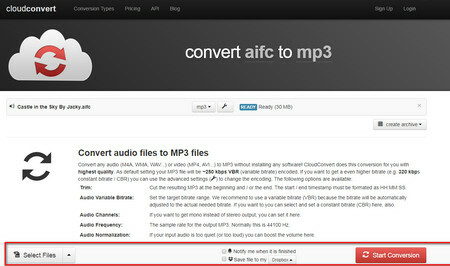 This article will introduce 4 useful and efficient methods to help you simply convert AIFC to MP3. 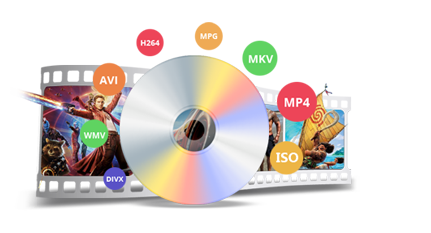 Free HD Video Converter Factory is expert in converting AIFC files, such as convert AIFC to WAV, MP3, OGG, etc. It supports various formats and devices which provides a better compatibility and playback. What’s more, it also enables to download online audios, etc. Free HD Video Converter Factory is a professional desktop AIFC converter which supports to convert AIFC format to MP3 and many other formats. It can help you simply and safely convert your video & audio files to have a better offline enjoyment and compatibility. You can free downloadfree download it to have a try. Before start, please free downloadfree download the AIFC converter. 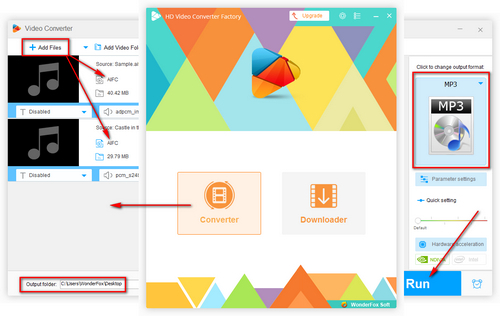 Run Free HD Video Converter Factory, click “Add Files” button to import .aifc file to the program or you can directly drag and drop your AIFC file to the program. Click the “Output Format” on the right side of the program, choose “MP3” under “Audio” tab as the output format. Set the output destination and click “Run” button to start the .aifc to .mp3 conversion. 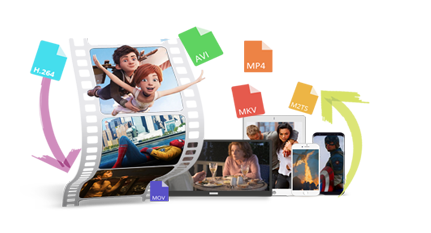 Free HD Video Converter Factory also supports to convert AIFC to WAV, M4A, OGG, etc. and download online audios and videos with original quality and fast speed. Step1: Run iTunes, then import the AIFC file to iTunes. Step2: Click “Edit” on the “Menu Bar”, and select “Preferences”. 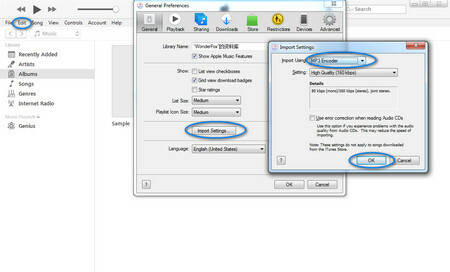 Step3: Click “Import Settings” button under the “General” tab; selecting “MP3 Encoder” under the drop-down list of “Import Using”. Meanwhile, you can also customize MP3 quality, then click “OK”. Step4: Go to Advanced tab, customize the output format directly and click “OK”. Step5: Select all AIFC files, click “File” on the menu bar > “Convert” > “Create MP3 Version” to start .aifc format to MP3 conversion. 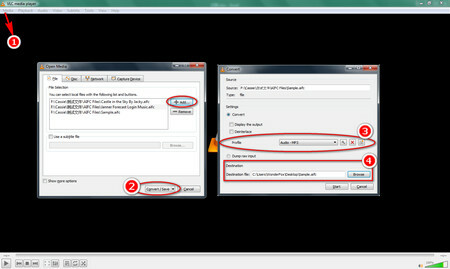 VLC player not only can play .aifc files directly, but also supports to convert AIFC to MP3. Step1: Run VLC player, click “Media” > “Convert/Save”, or you can press “Ctrl + R” directly. Step2: Click “Add” to import .aifc file and then click “Convert/Save” button. Step3: Select “Audio - MP3” under the drop-down list of “Profile”. Step4: Set the output destination and click “Start” button to start the conversion work. https://cloudconvert.com/aifc-to-mp3 is a totally free online AIFC to MP3 converter. If you do not want to install any software or anything. You can convert your AIFC file online. However, you should be careful of advertisements and annoying pop-ups at the same time. Step2: Click “Select Files” to add and upload the .aifc file to the site. Step3: Click “Start Conversion” button to start your work. Step4: After finishing the conversion work then download it to your hard drive. Online conversion is usually limited by file size, network speed, etc. Most importantly, please pay attention to online security when you convert online. This article shares 4 free and handy methods to help you easily and efficiently convert .aifc to .mp3. I hope this article can help you. You can choose any method you prefer. Or if you have more methods, please E-mail us to let us know. HD Video Converter Factory Pro supports to batch convert audios and videos which saves a lot of time. It enables to convert audios and videos to more than 200+ formats and devices. WonderFox DVD Ripper Pro supports to convert DVD to MP4, MKV and many other formats for better playback and storage. It is also able to extract audios from DVD, add subtitles, etc.